Looking for an Art Deco Mirror? Melbourne's largest stockist of Art Deco Mirrors which include frameless art deco mirrors, silver framed art deco and contemporary frameless art deco mirrors. These unique designs come in standard sizes many can be custom made to suit your decor. Many of these mirrors are locally made and are sealed with a special wax finish to ensure quality and durability. This makes them suitable as bathroom mirrors as well being spectacular decorator mirrors in other rooms. As they are locally produced we can provide these in made to measure sizes, an option not available with most non local mirrors. 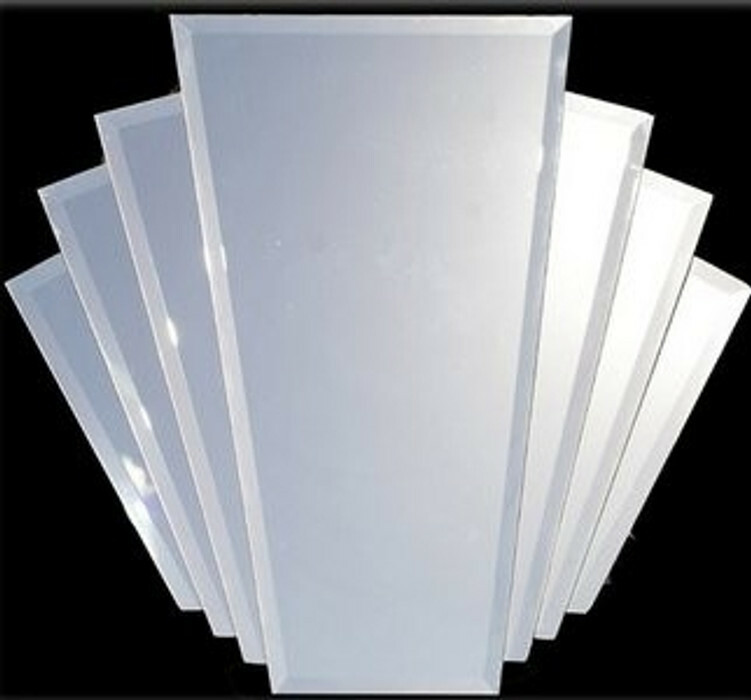 We are able to ship the mirrors interstate for a very reasonable rate. We ship to Sydney, Perth, Brisbane, Adelaide, Darwin and other city and country areas.